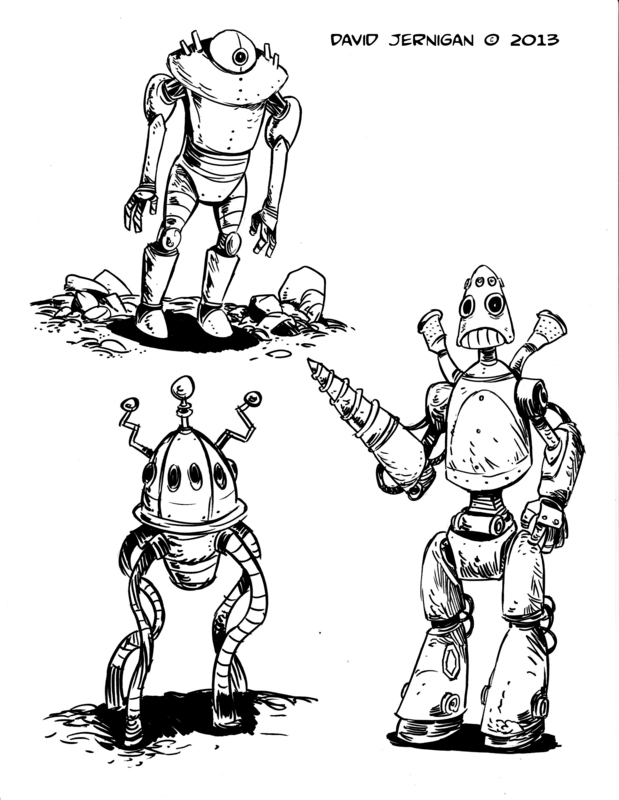 Here are a few robot sketches from my sketch book. 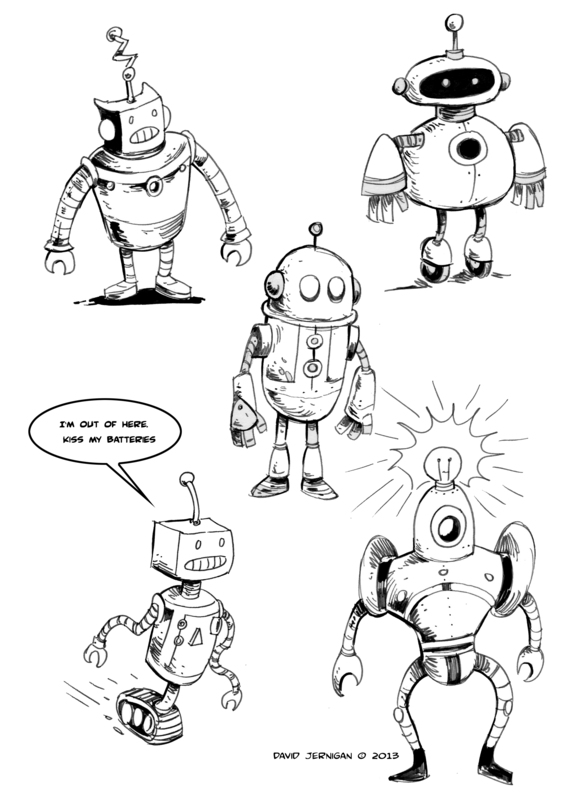 Robots are interesting to draw because they can be whatever shapes you can imagine. 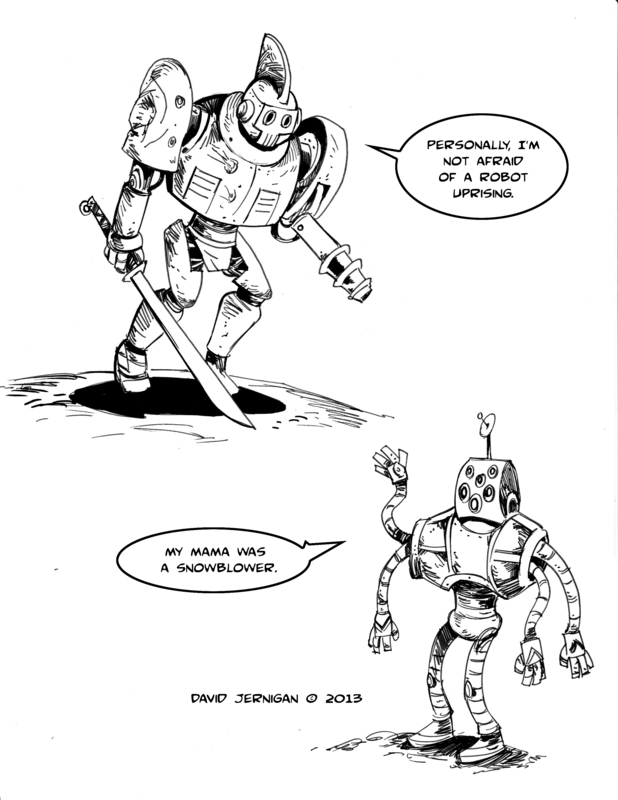 I used a Faber-Castell artist pen to create most of the sketches. The pen has a brush-like tip that is good for creating a variety of line weights. Moreover, that pen can sure move smoothly and quickly across the surface of your paper. After scanning the sketches, I added some type in Photoshop. This is an illustration I created years ago. I made it for a freelance job I was trying to obtain. I learned one lesson from the experience, that you never do finished work for a client before you sign a contract. That is one of the most important lessons in illustration if you ever want to be paid for your work. 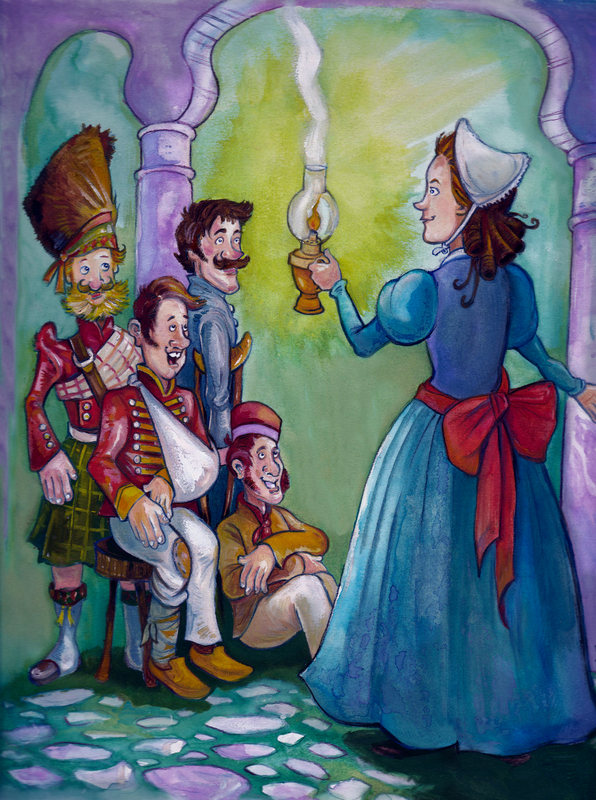 The illustration was for a children’s book about Florence Nightingale. Florence Nightingale was a celebrated English social reformer and the founder of modern nursing. In my illustration she is also very fond of blue dresses. The illustration was created with oil paints, watercolors, colored pencils, markers and the kitchen sink. These drawings are two pen and ink sketches from my sketch book. 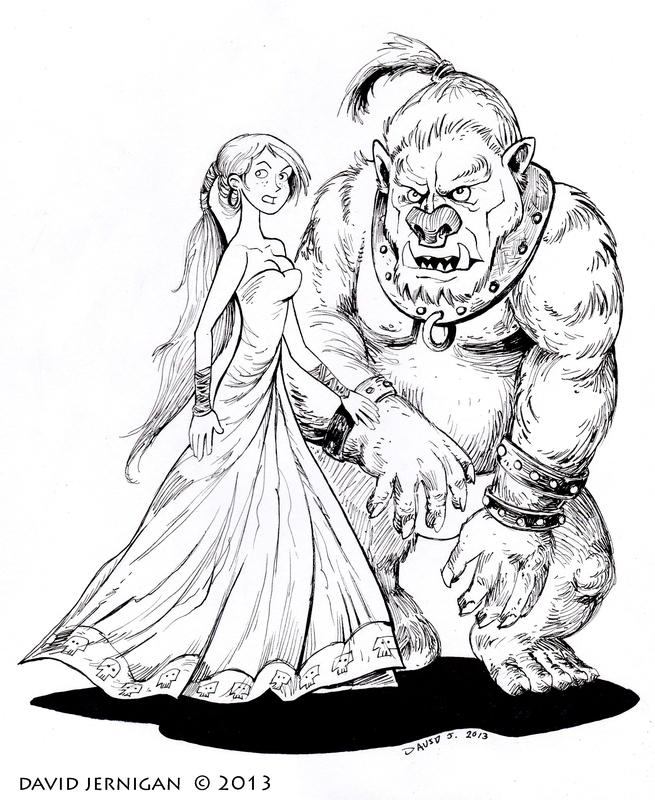 The first sketch looks a little like beauty and the beast. I think the sketch needed an angry teapot that looks vaguely like Angela Lansbury. 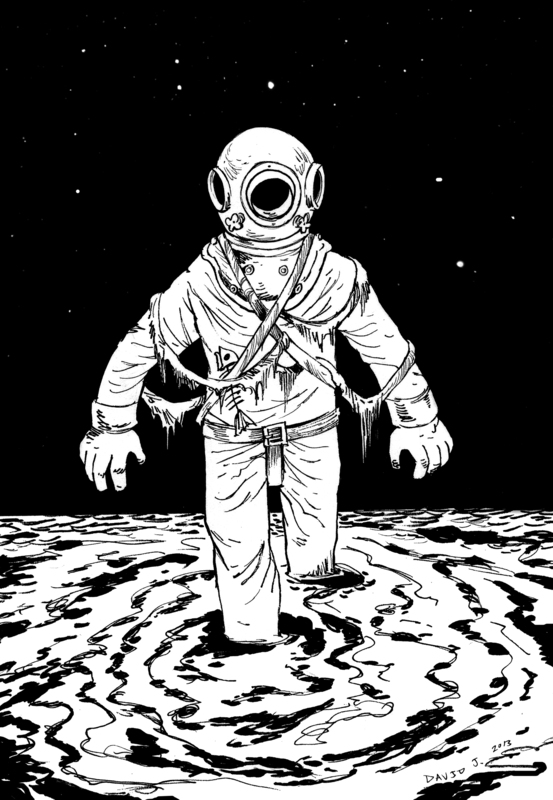 I scanned them into Photoshop and used the adjustment levels function to restore the blackness of the ink. Scans have a way of distorting every medium, even black ink. 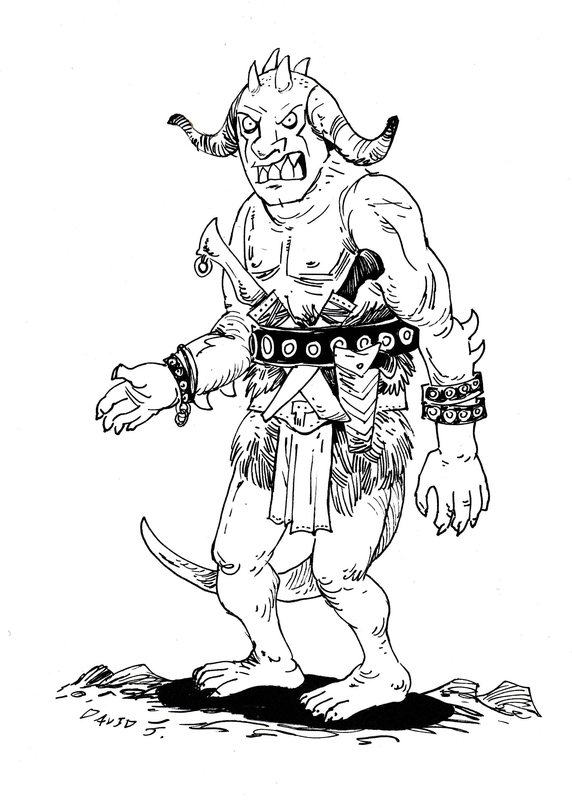 Here is another drawing from my sketch book that is a homage to Scooby-Doo. The original episodes from Hanna-Barbera Productions, “Scooby-Doo, Where Are You” and “The Scooby-Doo Show” were big influences on my interest in drawing and monsters. I remember being particularity fascinated by The Ghost of Captain Cutler.